By The Captain for Pop Culture Fun – Malaysia 2017! Singapore Toy, Game and Comic Convention RETURNS this weekend at the world famous Marina Bay Sands. This years event is an extremely special one as it marks the 10th Anniversary of the brand. Times really flies and this event has really morphed & transformed in these past 10 years. 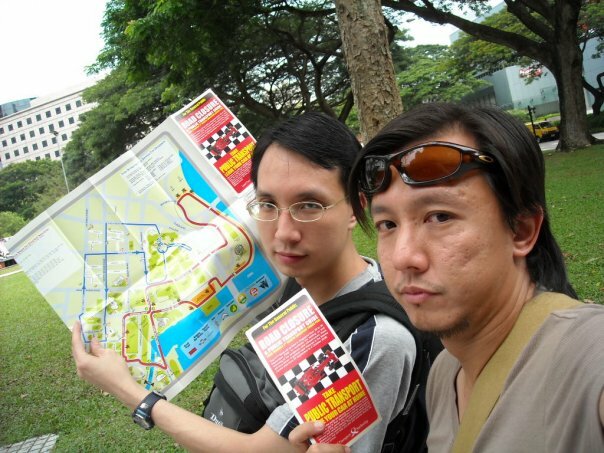 I can remember so clearly as I made plans with Outpost Productions Commander, Richard Chua, to travel to Singapore to check out this debut event back in 2008! Half way planning then all plans are messed up because guess what else is debuting in Singapore…. the first ever F1 Singapore Grand Prix!! And it’s a night race too!! Roads were blocked, bus routes were changed, accommodation was in shock… our trip nearly didn’t take place haha. Anyways, STGCC has come a long way since then. But the biggest change… or the morphing + transforming part came when Reed Exhibitions bought over the brand. Now things really got interesting as the worldwide network of Reeds strong arm is now available to what was already known to be the regional hub of South East Asia. I only made my first (Reed Pop Era) STGCC visit in 2014 and it was great!! But seriously… I really wanted to make for STGCC 2013 because of all the MARVELous stuff brought by Hot Toys!! THAT 1:1 display IRON MAN HALL OF ARMOUR!! Oh man… the photos look mesmerizing. Well, better 2014 than never!! 2014 was Hot Toys year to debut their brand new Star Wars stuff, so my theme expectation had to change! Then I came back the following year in 2015 and had another great encounter with Western Pop Culture!! I couldn’t make it in 2016 so I am definitely doing my best to head over this year for the it’s 10th outing!! And heading to STGCC 2017 with the Outpost Productions Commander – R.Chua is the perfect way to celebrate this trip!! 1) Meeting Marvel & DC artists: Oliver Coipel, David Mack, Cameron Steward, Adi Granov, Humberto Ramos, Harvey Talibao, Jim Cheung, Adam Hughes, C.B. Cebulski, Philip Tan etc. 3) Browsing Western Comics, memorabilia and collectibles. 5) Online Media folks are treated so well in contrast to events in Malaysia. 1) It’s the 10th Anniversary man!! It’s a big deal for any event!! 3) Star Wars: Experience the Force Singapore – a whole buzz of activities & events on Orchard Road. 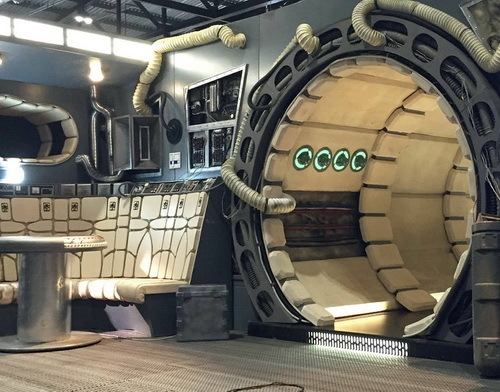 And the mysterious Kylo Ren – TIE Silencer, yet to be unveiled!! Something tells me it’s gonna me life size too! 1:1 scale!! Here’s the official release & preview info! Singapore Toy, Game & Comic Convention (STGCC) returns to Marina Bay Sands this September with its biggest party yet, in celebration of its 10th birthday. Happening between 9 and 10 September, STGCC promises an entertaining weekend of pop culture and comic wonderland for both fun-loving families and passionate gamers, featuring the best of local and international toys, games, comics, anime and collectibles, topped with an exciting line-up of guests and personalities. For the first time ever, STGCC is hosting the Good Game Experience (GGXP)​, offering gaming fans an exhilarating programme of entertainment and tournaments. Taking up an entire exhibition hall, GGXP features a host of local and regional game publishers – supporting and celebrating their love for games, and honouring outstanding Indie Game Developers through the Good Game Awards (GGA) 2017​. Not to be missed is the Akiba Zone​, a zone inspired by Tokyo’s famous Electric Town, giving Japanese subculture and cosplay fans the chance to indulge in their hobby, get up close with their favourite idols and cosplay guests, catch exciting stage performances and win attractive prizes. Experiencing a cosplay wardrobe malfunction? Costume repair service is also available in this zone. 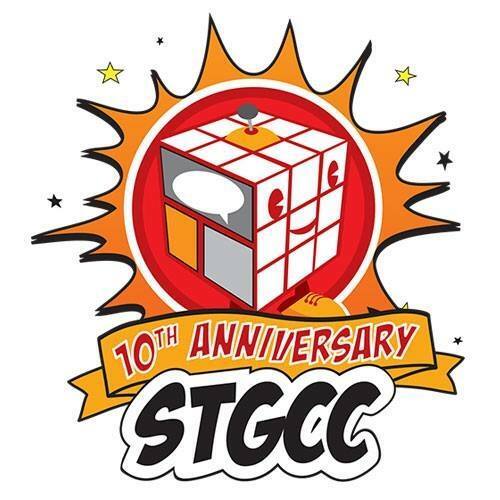 The convention will be headlined by renowned illustrator and animator Hiro Kanzaki​ (JP)​, making STGCC his first ever convention outside Japan. Other international star attendees include beloved cosplay stars Iori Moe​ (JP)​ and Siu Tao (HK), ​returning fan favourites such as Marvel comic book artist, Adi Granov​ (US),​ rising star and DC Comics artist, Mirka Andolfo​ (IT)​, and American comic book writer and artist David Mack​ (US). Hailing from our home ground, 6 Eisner Award Nominee Sonny Liew​ (SG)​ will also be making an appearance at STGCC. ​Playing the soundtrack of ​Akihabara’s subculture, music fans can look forward to acclaimed composers and DJs, such as ARM​/​IOSYS​ (JP)​ and Taku Inoue​ (JP)​. Comic fans will also get to meet and view the creations of American comic cover artist and writer Arthur Adams​ (US)​, comic book writer and illustrator Frank Cho​ (US)​, comic book illustrator Joyce Chin​ (US), ​professional cosplayer, stuntman and model Leon Chiro​ (IT)​, Taiwanese cosplayer, Shimo​ (TW), ​and co-founder of Japanese-inspired lifestyle brand, tokidoki, Simone Legno​ (IT). James C. Mulligan (US), one of Disney’s top selling artists, and Marvel Comics editor and talent scout, C.B. Cebulski (US). Budding artists hoping to join the ranks of Marvel’s esteemed artists will get the chance to have their portfolios reviewed by Cebulski himself. Shortlisted candidates will get to meet Cebulski for a one-on-one review. Japanese pop music fans can look forward to beloved Japanese dance vocal groups Color Pointe (JP) and Tokyo CLEAR’S (JP) making an appearance at STGCC, along with composer Yunomi feat. nicamoq (JP), producer group REDSHiFT (ID), and DJ MarGenal (JP). Also present at the convention is prominent toy designer brand The Beast Brothers (MX), Sorbet Jungle’s founder DeAnne George (US), and Japanese toy designers Hinatique (JP) and Yasu (JP) both making their first appearance in Singapore. For the complete line-up of guests for STGCC 2017, please click this link here. For the first time ever this year, STGCC is dedicating an entire hall for the ultimate GGXP gaming zone, featuring nail-biting eSports tournaments and the latest gaming and product showcases for visitors to play with. In partnership with Gam3.Asia and Asus, three live gaming tournaments – ROG Masters 2017 – DOTA 2 – Singapore Qualifier and ROG Masters 2017 – CS:GO – Singapore Qualifier finals, and semi-final to finals Vainglory Championship 2017 – Southeast Asia – will take centre stage at the GGXP. In the ROG Masters 2017 – DOTA 2 – Singapore Qualifier and ROG Masters 2017 – CS:GO – Singapore Qualifier, the top two playing teams will be facing off against each other in a best-of-three playoff for a chunk of the SGD$20,000 total prize pool (SGD$5,000 for 1st place, SGD$3,000 for 2nd place and SGD$2,000 for 3rd place in both qualifiers). The champions of the two qualifiers will also receive a sponsored trip to represent Singapore in the APAC Regional Qualifiers in Philippines from 26-29 October 2017. One of the most prestigious eSports tournaments in the world, the ROG Masters will feature a staggering total prize pool of USD$500,000 between the two games at the main event. There will also be a livestream of the Singapore qualifiers on the ROG Masters website. On 10 September, mobile gaming fans can look forward to the Vainglory Championship 2017 – Southeast Asia where the top four teams in the semi-finals will battle towards the grand finals for their portion of the USD$5,000 prize pool. Please click here to register for Vainglory Championship 2017 – Southeast Asia. Catering to fervent fans of Star Wars and comic and toy enthusiasts alike, leading developer of licensed merchandise, Beast Kingdom, will unveil an exclusive Egg Attack Action EAA-055 Darth Vader Hologram Version action figure from Star Wars Episode V: The Empire Strikes Back. For Marvel fans, Beast Kingdom will unveil an exclusive Egg Attack Action EAA-021SG Avengers: Age of Ultron – Iron Man Mark 45 Special Edition. Beast Kingdom will also delight DC comics’ enthusiasts with the brand-new 1/9th scale film accurate collectible figures from the DC Universe. Singapore-based collectibles retailer ActionCity will also release limited edition collectibles exclusively for the STGCC’s 10th birthday, such as Mr. Kiasu Stylised Art Toy, tokidoki Unicorno Porcelain Art, and a 1.2m tall Daruma featuring a uniquely Singaporean design. For fans who just can’t get enough of the Star Wars: Experience the Force Singapore festival at Orchard Road, there will be an entire experiential zone at STGCC this year specially dedicated to Star Wars! Fans will be offered an immersive experience of getting up close and personal with fan-built vehicle replicas, games, and collectibles. Be transported to a galaxy far, far away by a replica of Kylo Ren’s TIE Silencer from the upcoming movie, Star Wars: The Last Jedi, the first of its kind in Southeast Asia. 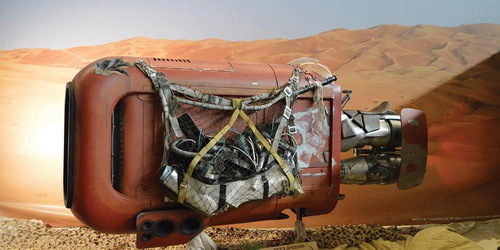 In addition, larger-than-life fan made props have been flown in specially for this exhibition, including Rey’s Speeder, signed by film director J.J. Abrams, and a film replica of the interior of the Millennium Falcon. Fans can also get to meet and interact with the most adorable droid in the galaxy, BB-8, through a virtual reality experience at STGCC. The latest addition to Star Wars’ ever-expanding mobile gaming family will also be featured at STGCC. Fans are welcome to take aim and compete with one another in real-time demos. Tickets to STGCC will also be available for purchase at the Star Wars: Experience the Force Singapore event at Orchard Road, as well as on STGCC’s website. Star Wars: Experience the Force Singapore festival is one of the initiatives supported under the three-year collaboration between Singapore Tourism Board and The Walt Disney Company Southeast Asia. Beyond the Star Wars events this year, Disney fans can also look forward to more unique Marvel and Disney Animation/Disney Pixar activities that will be taking the spotlight in 2018 and 2019 respectively. For more information about Star Wars: Experience the Force Singapore, please visit http://www.experiencetheforce.sg/. The fun doesn’t end at Marina Bay Sands Expo! STGCC goes full force with their Official After Party set to take place at VLV Singapore. On 10 September from 9pm onwards, the post-STGCC celebrations will feature four popular Japanese guest DJs – Camellia, kors k, kradness, and Ryu☆ – to end the convention’s 10th birthday on a high note. Entry tickets sold at VLV. Cover charge is priced at $35, show up at the after party with STGCC’s wristband to enjoy $10 off and enter at $25! This entry was posted on 05/09/2017 by The Captain. It was filed under Comics, Event, Games, Movies / TV, Recent Community NEWS and was tagged with Cosplay Fun, Cosplay Malaysia, Cosplay-Fun Malaysia, Experience The Force, Experience The Force Singapore, Malaysia, Outpost Productions, Star Wars, STGCC, STGCC 10th Anniversary, The Captain.